somehow all this feeling is gone, and even the kids these days do not have this culture of habit, not sure what has shifted (ignorant of technology) this or caused this, but It’s really sad to say the festive mood is now just another day. Do you feel this too? or maybe it is just me? No doubt the feeling and atmosphere has gone, but these 5 superstitions is here to stay for me, if you have any others do share with me. Opening of Windows, Doors and literally turning on all the lights in the house, the old adage saying is “Gone with the old, in with the new! At the stroke of midnight on Chinese New Year Eve, all the windows and doors should be opened to allow the “old year” to get out for the fresh New Year to be in. Staying up all night, this is where we kids get to stay up the whole night into the morning and yes like 2 to 3 am because it will be a trip to the temple to pray for our new year. but staying up the eve of Chinese New Year to the actual Chu Yi is said to bring longevity to your parents – the later you stay up, the longer your parents will live. I kept this tradition till today. No Washing of Hair till the 2nd day, ok seriously I hated this one because when we’re young, from the eve till the first day we would go all our playing with our relatives and friends, like really all out screaming and running, with fireworks. and even spilt soda all over, and coming back home mom will say NO WASHING of hair. So why is this so? ” “Head” is associated with “beginning” in Chinese. So you are advised not to wash/cut your hair on the first 2 days of the New Year if you want a good start. Lastly no.5 could be the happiest for us kids, cause we get to mess up the house like dropping snacks or firecrackers all over the porch and yet there will be NO SWEEPING on the 1st day because sweeping meant sweeping out the luck and fortune. Anyway thanks for reading and I do hope I will find time to update my content more often than not, and thank you for supporting me all these while and reading all my articles and thoughts. 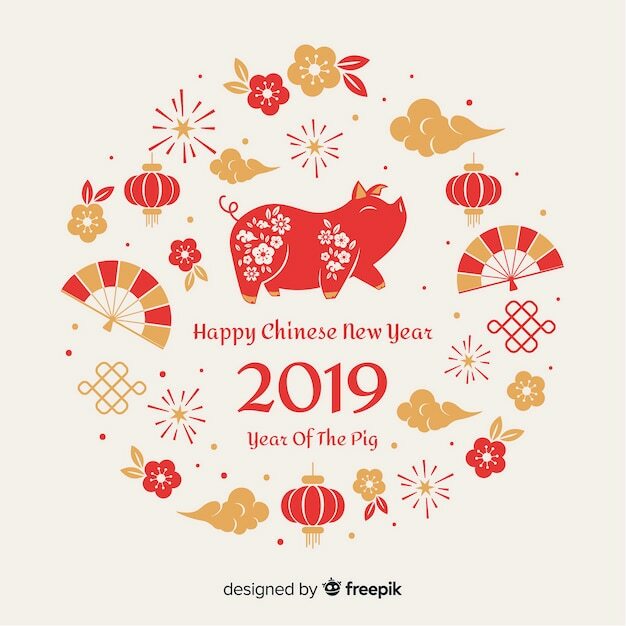 WISHING ALL MY READERS A HAPPY CHINESE NEW YEAR, MAY YOUR YEAR BE FILLED WITH ABUNDANCE OF LOVE, WEALTH and more importantly HEALTH! Eyes are dried up with the constant blowing of the table fan, looking at the screen for over 8 hours a day sometimes even more,scrolling the mouse through email after email which furiously typing on the keyboard is most often a day in the life of an office executive. Why do we put ourselves in this position day after day, waking up to the sound of our phone alarm, turning it off then just lazing and snoozing dreading the time to wake up, to get dressed, to go to work, to get that next pay check, but pay check to do what? Why are we so enslaved with this thing called money? Just a piece of paper with a numerical digit printed on it but it makes the world go mad. Just recently a man threw money over a roof-top in Hong Kong to attract or create awareness on their cryptocurrency platform, it was borderline crazy thinking that it will get attention, yes attention it got but it was not the good kind, the other attention he caught was on wrong side of the law. I believe he was sentence to jail, and did you know that Hong Kong requires you to report all money found if not you are an offender. Ok this post is not going anywhere, and this post is just that, there is no topic of conversation, yet it has no direction, just like me now. I have come to a point in my life I am asking myself, what am I doing to move ahead. Be in the rat race like everyone else and go through the motion in life like how most adult go through. I don’t seek solace, nor do I seek fame, yes maybe I am lost and I know I am not alone, is this a phenomenon going on where people just quit their jobs without knowing what is the next step, but as my Linkedin post have said, “Good Things come to those that wait” Have patience and he shall guide you in the right path. I might be starting another WordPress page soon other than sports. Happy Boxing day guys ! This is a story about humility, and how we should only stay humble all our life no matter how high we go up in life. Next year he had retire but was still invited to the same conference, this time round, there was no private jet, no car and not even a cup of coffee, he had to grab his own coffee and he thought to himself from there while holding his cup, people were only respecting the position and not the person. What can this story be taught to us? The YOLO Run is a fun and performance run event where participants are encouraged to free themselves, be a part of a run that gives back and also partake in a mass yoga session after the run. The spirit of the YOLO Run draws from the aphorism “You Only Live Once” and encourages participants to seize the day, not care about what people think, and free themselves from labels, stereotypes, body types and inhibitions. This action of liberation is signified by participants running shirtless and is supported by X-Change Republic (the creators of the YOLO Run) or the sponsors, through donations to the adopted beneficiary for every runner who runs shirtless. YOLO Run believes in the appreciation of life. Everyone only lives each day once, therefore when one is able to, he should always help those in need, simply because there could never be another chance for it. After two successful years in Singapore with 3,000 participants in 2015 and 9,000 participants in 2016, the third 2XU YOLO Run SG will take off at the F1 Pit with 5KM, 10KM and 21KM category options. “We have kept all the unique features of the YOLO Run and will be making it even better with the inclusion of the 21KM category and the entitlements made available to all. This year we are grateful for the continued support from title sponsor 2XU Compression Wear, and we are excited to partner with popular home-grown yoga studio – Yoga Lab,” says Mr Alex Loh, Managing Partner at X-Change Republic Pte Ltd.
Soak in the spirit of 2XU YOLO Run SG 2017 where participants are encouraged to seize the day, not care about what people think, and free themselves from labels, stereotypes, body types and inhibitions. This action of liberation is signified by runners running shirtless. In line with freeing the participants’ minds and connecting their body and soul, 2XU YOLO Run SG 2017 will end the day on a high note with YOLO Yoga, a rejuvenating mass outdoor yoga session of mindful stretching led by renowned Yoga Personality and Instructor from Yoga Lab – Jasmine Chong. “It has always been Yoga Lab’s mission to make yoga accessible to the masses, so we are excited to do exactly that at this year’s YOLO Run. Just as how running is for all, so is yoga!” says Miss Jasmine Chong. Join in the meaningful way to YOLO, free yourselves and come run shirtless for a good cause. Early-bird registration is priced respectively at S$38 for 5KM, S$48 for 10KM, and S$58 for 21KM. For more information and to register, visit www.yolorun.com.